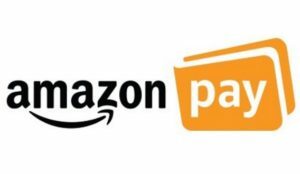 Amazon is back with another offer where Pay for your order using Pay link and get flat Rs. 50 back. There is no minimum order value required for this offer. So, Hurry up!! and grab it fast. How to Pay for your order using Paylink and get flat Rs. 50 back? December 1, 2018 to December 31, 2018 (both days inclusive). 3. Is there a minimum order value? 5. When and where will the cashback be credited? 1) This Paylink Offer (“Offer”) is made available to you on www.amazon.in and the mobile application and mobile site thereof (collectively, “Amazon.in”). 2) These Offer terms and conditions (“Offer Terms”) are in addition to the terms and conditions applicable Amazon.in Conditions of Use & Sale and Privacy Notice to which you agree to by using Amazon.in. To the extent the Conditions of Use & Sale are inconsistent with these Offer Terms, these Offer Terms shall prevail with respect to the Offer only. 3) This Offer is available from December 1, 2018 to December 31, 2018 (“Offer Period”). The Offer Period may be extended, limited or revoked by Amazon at their sole discretion without notice and without any liability to Amazon. 4) During the Offer Period and subject to these T&Cs, any customer who: (a) makes a purchase of any product on Amazon.in (b) chooses to pay for such purchase transaction using the Pay On Delivery (“PoD”) payment method; and (c) selects to pay using (a) the Amazon Pay link received by the customer through SMS or email will be eligible to receive cashback of an amount of INR 50 in respect of such transaction. 5) The cashback will be provided to the eligible customers in the form of Amazon Gift Cards, issued by Qwikcilver Solutions Private Limited, redeemable as Amazon Pay balance in the Amazon.in account of the eligible Cardholder. The use and redemption of the gift cards and the use of the Amazon Pay balance is subject to the applicable terms and conditions. 6) In case the customer either returns or refunds the product or cancels the transaction or a transaction is cancelled for any reason whatsoever, such transaction will not qualify for the Offer. 7) An eligible customer can receive cashback only once during the Offer Period. 8) Any query / issue in relation to the cashback will be entertained by Amazon only till January 30, 2018. Post such date Amazon will not entertain any communication regarding this Offer or cashback from any person. 9) All disputes arising out of this Offer will be subject to the exclusive jurisdiction of courts in New Delhi. Product is out for delivery but didn’t received paylink.